Today is National Donut Day, and the best place at Walt Disney World Resort to indulge in this sweet holiday is Disney’s Typhoon Lagoon Water Park. That’s right – Typhoon Lagoon has some of the best donuts around the vacation kingdom, and you can find them at the Joffrey’s stand just across from Singapore Sal’s merchandise shop. These hot and fresh, made-to-order mini-donuts are incredible! 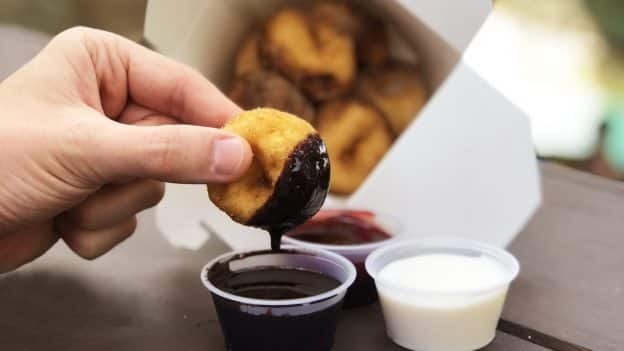 They come dusted with cinnamon-sugar, but the delicious dipping sauces really put them over the top. You can choose from raspberry, chocolate or white-chocolate varieties. The mini-donuts come in orders of six or 12 – after you try one, you’ll definitely want a baker’s dozen. 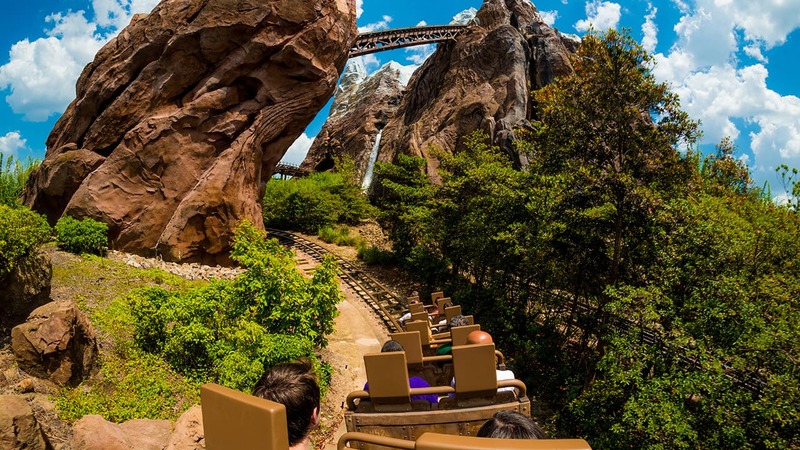 So, while you’re splashing around Typhoon Lagoon, take a break from experiencing signature attractions such as Crush ‘n’ Gusher and Miss Adventure Falls to chow down on some delicious desserts. 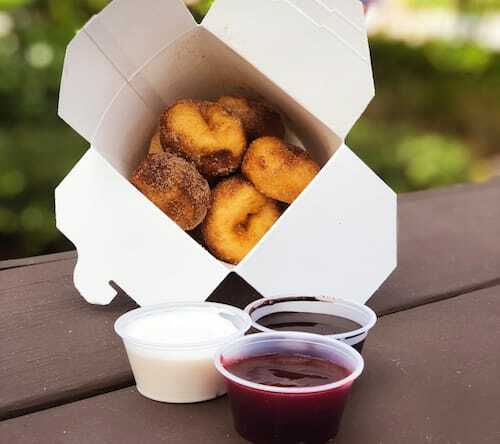 The mini-donuts are only available at Disney’s Water Parks, so be sure to drop into Typhoon Lagoon, catch a wave and savor these sweet treats. Looks so good. I’m just happy we have our own version at Lamplight Lounge. So yummy! uh, where have these been all my life? ?